Springfield is a city in which it is possible to step back in history to the lofty days of Abraham Lincoln. Visitors can explore Lincoln's home and the neighbourhood which has been carefully preserved and restored to be as the famous president would have remembered it. The Lincoln Library and Museum holds famous documents hand-written by Lincoln, and the Oak Ridge Cemetery holds his tomb. 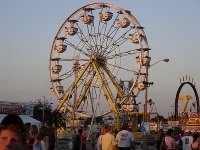 Apart from the slew of historic sites and landmarks named for Lincoln, Springfield offers many museums, galleries and parks, and shopping destinations. 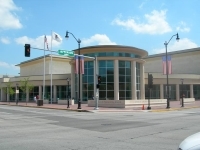 Springfield's status as the state capital ensures that the city boasts a number of worthy Illinois establishments, like the Illinois State Museum, the Illinois State Capitol, and the Illinois State Military Museum. Springfield makes visitor's welcome, with tourist centres and information kiosks sprinkled throughout the city, and a number of first-class guided tours on offer. There are also some well-organised self-guided tours available in Springfield tourist hubs, accessible by phone.